My Sri Lankan sojourn gave a refreshing kick-start to 2018. Sri Lanka, the land of serendipity is remarkably blessed with beautiful beaches and landscape. Despite being our first time there, we faced no hiccups at all. Not only did the gorgeous country surpass all our expectations, it gave us memories for a lifetime. I desperately longed for a trip with hubby and there it materialized. A travel blogger may not look for such reasons to travel because I often get such opportunities but a wife definitely does. We both had a hectic year and hardly got a chance to travel together. Thus, I had set my eyes for the New Year’s eve. Somewhere, there was a hidden desire to make a wish hand in hand, to wake up to the new dawn of the year and to experience the change of the year in a new destination. We could have easily chosen to be in the capital city, Colombo but we chose Weligama for the 31st night. It was just the way I wanted- peaceful, quaint, simple and less touristy. 1st January was a day unlike before. 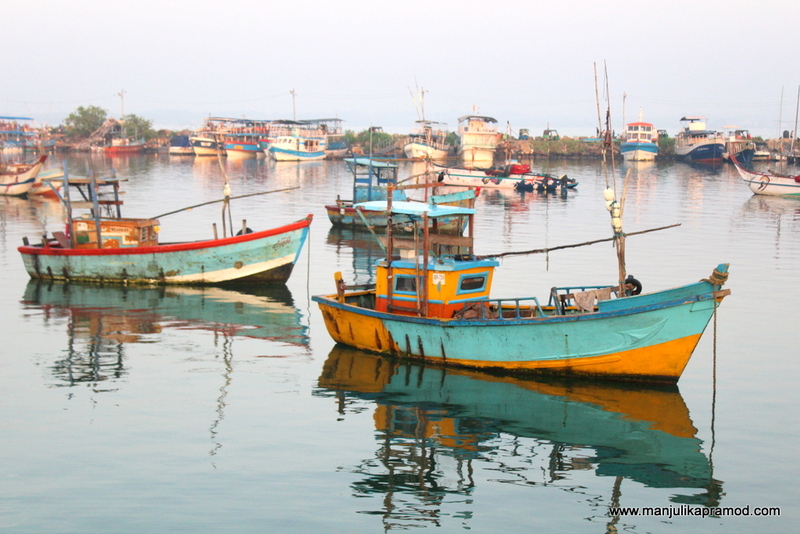 Hubby and I had booked ourselves on a whale and dolphin watching safari at the Mirissa harbor and it turned out to a great experience for both of us. We not only navigated for five hours in the Indian Ocean but also got lucky with both dolphins and whale. This activity was totally worth the time and investment. To end the day, we chose one of the most romantic location to see the sunset at the old town, Galle fort. Just before Sunset at Mount Lavinia! I started late though I do not regret now. But if you have to look for a place for new year’s eve, do gear up early. It was in the last week of October that I started planning for the December end trip. Trust me, everything around this time is booked or gets really expensive. Though, I wasn’t planning Europe because we only had 7-8 days to spare but even the Asian countries appeared all booked and busy. The price of air tickets was sky rocketing and the best of hotels were booked. The others were acting pricey. I continued with my search for two three days and zeroed on Sri Lanka for its uniqueness as well as similarities. This tea country had been on my mind for sometime because I had done some research for my friends at the start of the year. While I had recently discovered the pretty beaches of Sri Lanka on the internet, I was aware of its pretty towns like Nuwarya Eliya and Ella. By the time I was done with my recce, I knew I wanted to go to Sri Lanka. The ETA (visa process) seemed pretty easy and literally it was a 5 minute affair to procure the same. While, I will be writing about the experiences in elaborate, here are the highlights of each day! The duration of my trip was 26th Dec to 3rd Jan. We had booked an Air India flight from Del to Colombo via Chennai. Our room at Havelock Sanctuary made our day. 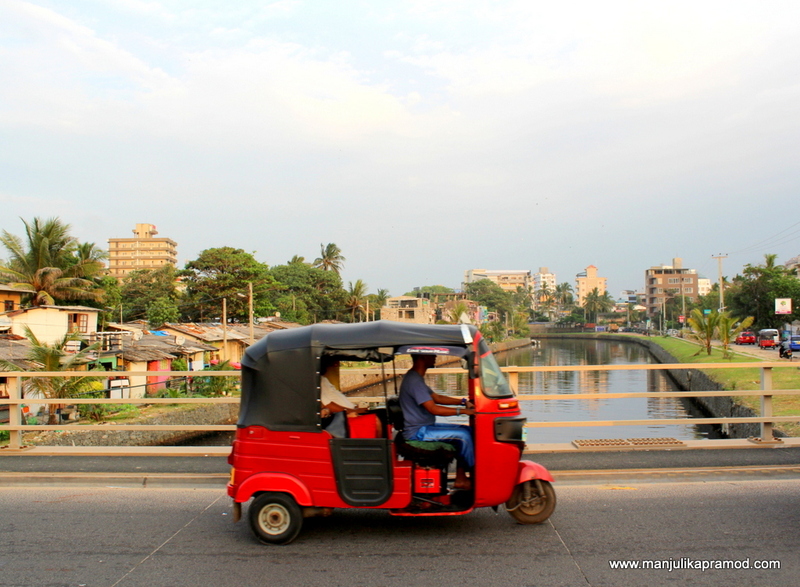 Sunset at Mount Lavinia and dinner at Upali’s by Nawaloka was a great start in Sri Lanka. Gangaramaya temple, Seema Malaka, Nelum Pokuna Art Street, National Museum, a food walk from Pettah to Galle Face with Urban Adventures. The scenic train ride from Colombo to Kandy to Nona Oya (Nuwara Eliya) was pure love. 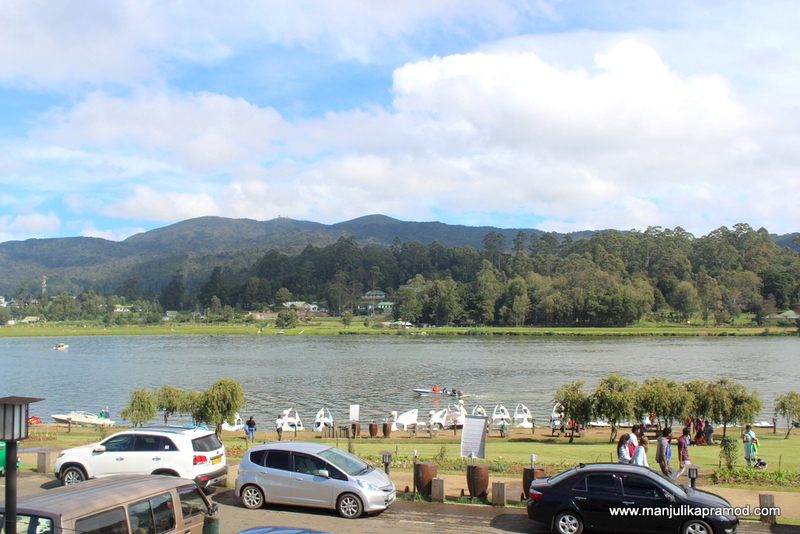 By the time we reached the hill town, we could only manage Gregory lake and the main market of Nuwara Eliya. We opted for a local bus ride from Nuwarya Eliya to Welawaya. 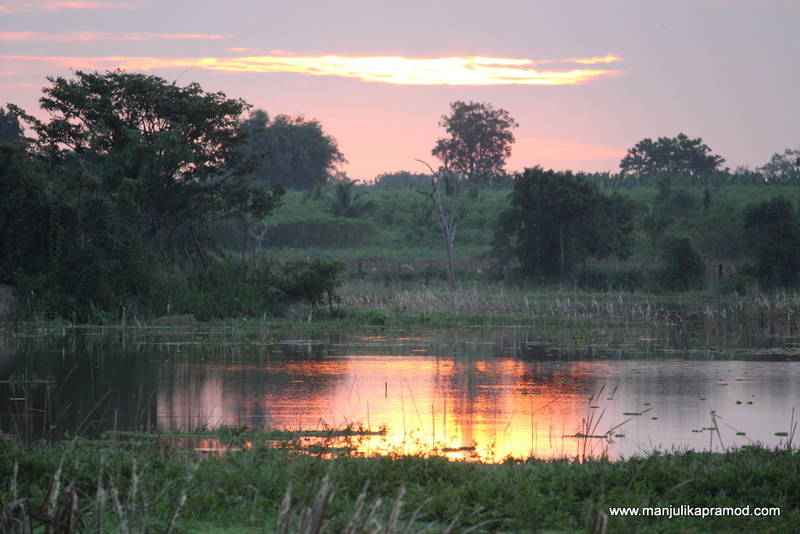 Later the stay and safari at the Kingdom Ecolodge made for our day. 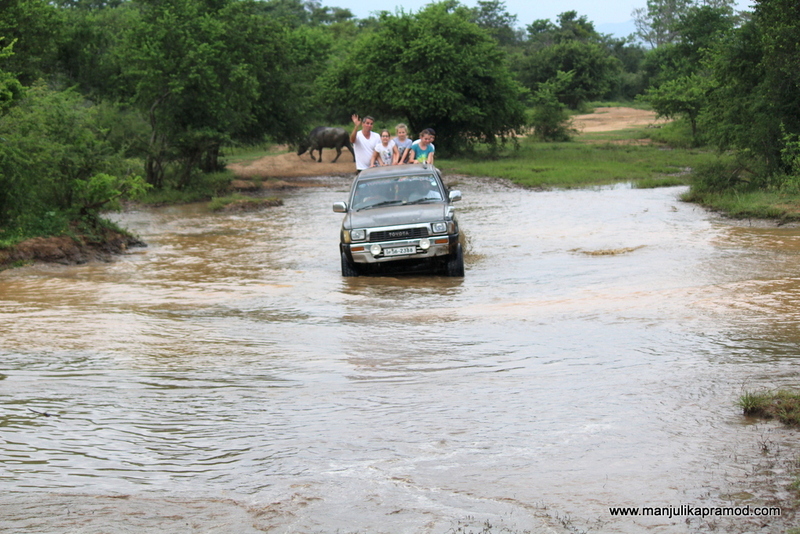 This was the day which promised us thrills and adventures around Yala National Park. After the breakfast, we packed our bags and opted to take a bus ride to Matara. The beach town of Sri Lanka welcomed us warmly. Mirissa looked pretty while Weligama was charming. Our home-stay at Dinsara Pearl Villa surprised us with its lovely views. After spending the evening on the beach, we celebrated the night at Tiki Cliff Top Restaurant & Bar, Weligama. This was the most amazing start to the year. Dolphins and whales came to wish us in the Indian Ocean. We used the afternoon to explore the fortifications of Galle old city. The evening there was mesmerizing with it sunset views. The Gregory lake in the heart of the hill town. It was time to do the last and the another amazing bit of the the trip. The train ride from Weligama to Colombo was a treat for the travelers like me. After exploring Negombo, we reached the airport in Colombo. The return flight was as comfortable as before. I like flying Air India because I have never had any bad experience and I totally vouch for them for the food they serve. While I was still weighing on my Sri Lanka plan, my husband had gone ahead and surprised me with the tickets to Colombo. And after that there was no looking back. I had worn the cap of a tour planner and done every bit of research. Trust me, it paid off well. From staying in the home-stays to traveling in local trains to using tuk-tuks and buses for local movement, we did everything like the locals. Sri Lanka can make for a great trip in a perfect budget. To my surprise, hubby actually praised me for putting up a perfect plan. 7 days were less for this lovely country. We definitely wanted to come back again. 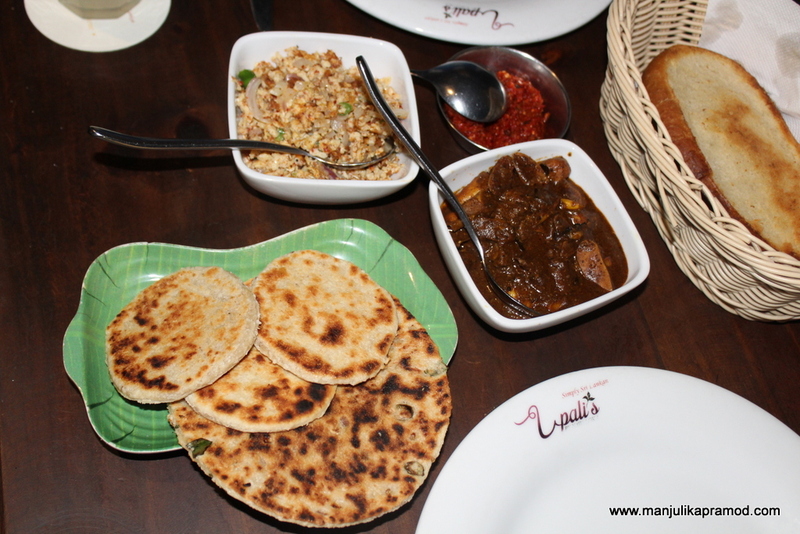 We pampered our taste buds with plain hoppers, egg hoppers, pol roti, egg kottu, cheese paranthas, string hoppers, pickles and authentic Sri Lankan curries. While we ate merrily, we tasted the non-alcoholic drinks too. Cream soda, elephant ginger beer, wood apple drink and sago drink were some of our indulgences. 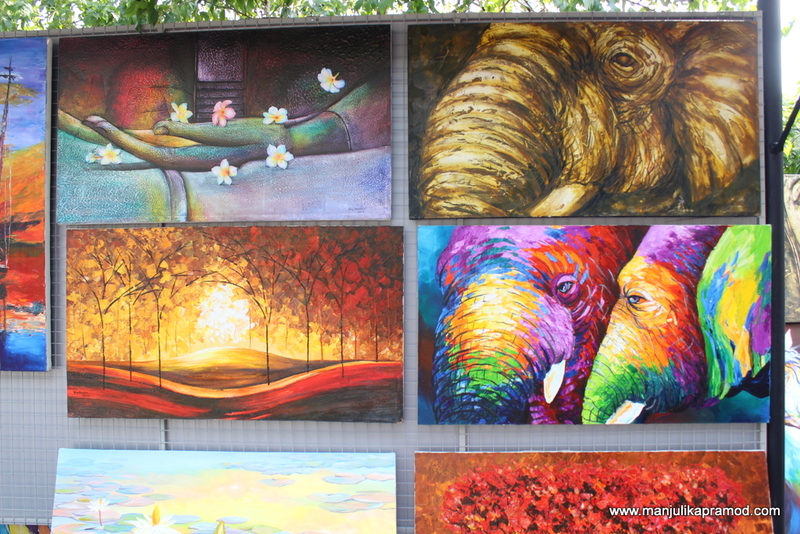 Not to forget, we got lucky with local street art and paintings street too. While it was a personal trip in the peak of the holiday season, I still got lucky with two collaborations. I must thank them for adding hell lot of thrill and excitement to my trip. Wow it looks like you packed loads into your visit. It is definitely a country on my bucket list. Love the look of the train too. It looks like you guys had a lot of fun ringing in 2018 in Sri Lanka! I would have loved to see those whales and dolphins up, close, and personal too. Sri Lanka looks like a great destination with a good mixture of food, nature, and culture. 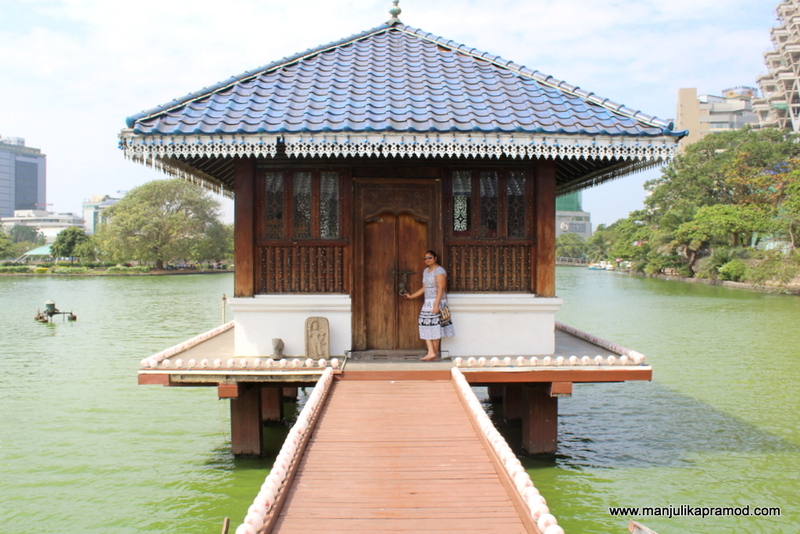 I love the little pagoda in Beira Lake! Actually all the scenery in Sri Lanka looks gorgeous, but I think my favorite is still the sunset at Galle Fort. What a great way to spend your new years – glad to hear you had a good time! This post made me smile, Sri Lanka is a country I would love to travel, the only time I’ve been was in transit when I fly back to England from Bali (random stop I know) but just from flying in and out of it I could see how gorgeous it was. So glad though you and your hubby had a good time and I’m sure it was great to be away from tourists for N.Y.E – Also, I’ve been fortunate to see whales and dolphins myself during my travels, they’re just amazing creatures aren’t they? Before reading this post, I would have never thought of Sri Lanka as a New Year’s destination, but now I can’t wait to go! Matara looks particularly charming! Also, the food made my mouth water. I am glad you guys had fun and thank you for giving me another place for my bucket list! I also learnt the hard way that it is wise to book your December holidays well in advance because prices get sky-high and availability is low. But you made a great choice. Sri Lanka looks so picturesque. I would love to go there some day. So good to know about your adventures in Sri Lanka. It has been on my for a long time and I might plan something real soon. Be prepared for a lot of queries from my side. It is such a good idea to enjoy New Year in a new country! Sri Lanka looks like my kind of destination. I have heard a lot about the trains of SL. I would try to follow the itinerary which you have shared. The tuk tuks seem so similar to the Indian version. How clean is the environment in Sri Lanka? I’ve had so many friends who have backpacked India and tell stories of getting very sick sometime during their trip. It’s one of the reasons why I’m putting off India and much of South East Asia. First of all, thank you so much for the comprehensive post. I am not that much aware about the geography of Sri Lanka but I definitely want to visit here as soon as possible. Your itinerary looks perfect and I will like to follow it when I get the chance to finally visit. Sri Lanka is indeed an exotic location and relatively ignored by Indians who normally make a beeline to countries like Singapore, Hong Kong, Thailand etc.. But there is so much to see and experience in Sri Lanka. You guys have had a great time. 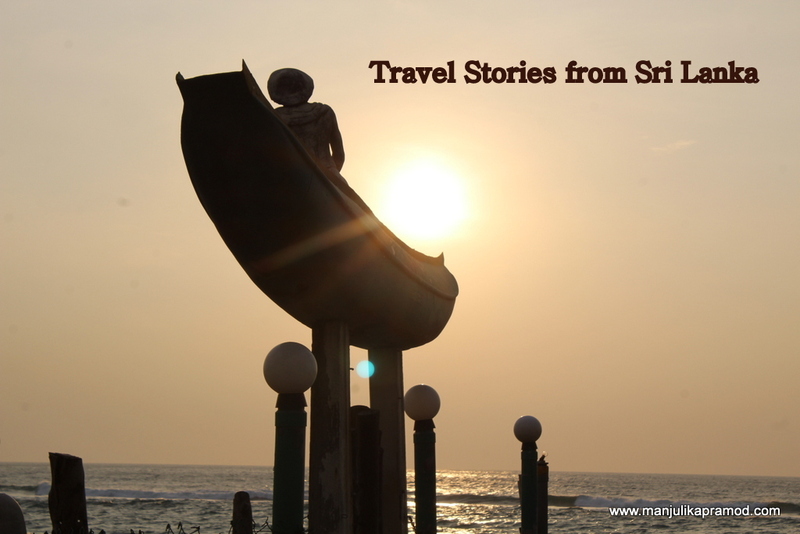 We did a short trip to Colombo when transiting through but are yet to explore Sri Lanka. One of the places that really interests me is Sigiriya. The food, and the topography, and all the amazing things to do has put sri lanka on the top of my list of places I will go this year! How inspiring! Quite a few interesting places you have covered. Sri Lanka is long due. I have been there only for watching the cricket world cup, but have not spent too much time around. I like your trail from Colombo-Nuwara Eliya to Welawaya through Yala. Also buy your point on Air-India. Whenever i have flown them, its not been as bad as its projected, but I am sure there are better airlines on this route like Sri Lankan airlines or Spicejet or Jet. Celebrating New year in a country with full of nature is a memorable experience. I have been to Sri Lanka but it was a very hectic travel schedule. 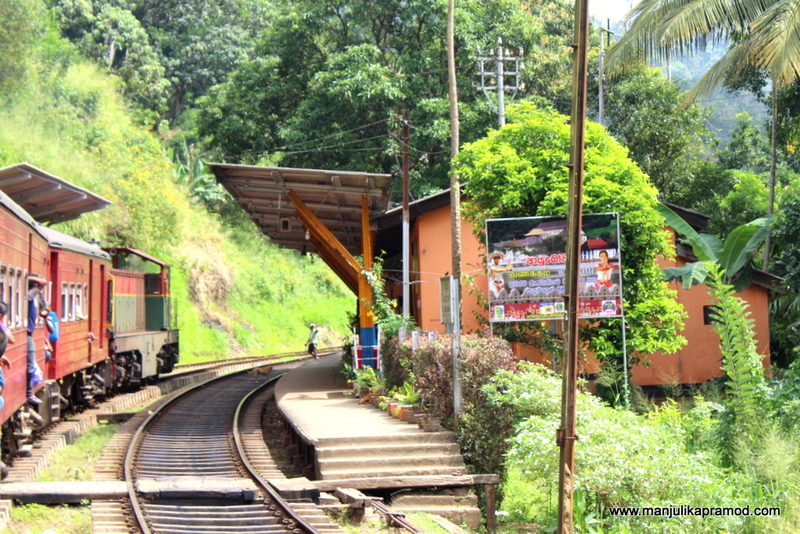 I liked the cute train journey from Colombo to Kandy. Gregory Lake in the hill town is also very stunning.